Ernest A. Batchelder was an author, designer, educator, artist, and tilemaker who settled in Pasadena in the early 20th century. 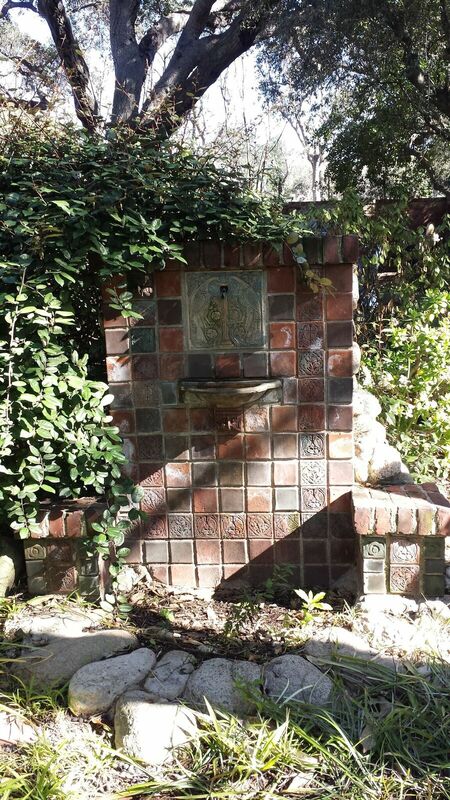 Image: A Batchelder-designed fountain featuring his tiles in the garden of his house in Pasadena. A visit to the historic Pasadena Playhouse, where we will see a Batchelder fountain in the courtyard, and the Batchelder fireplace in the Playhouse Library, a room usually closed to the public.